Can Jabba the Hutt beat Darth Vader? Will Spock defeat Seven of Nine? Will Han Solo beat his best friend Chewbacca? Can the Gorn overcome Khan? Update: We're in round three! 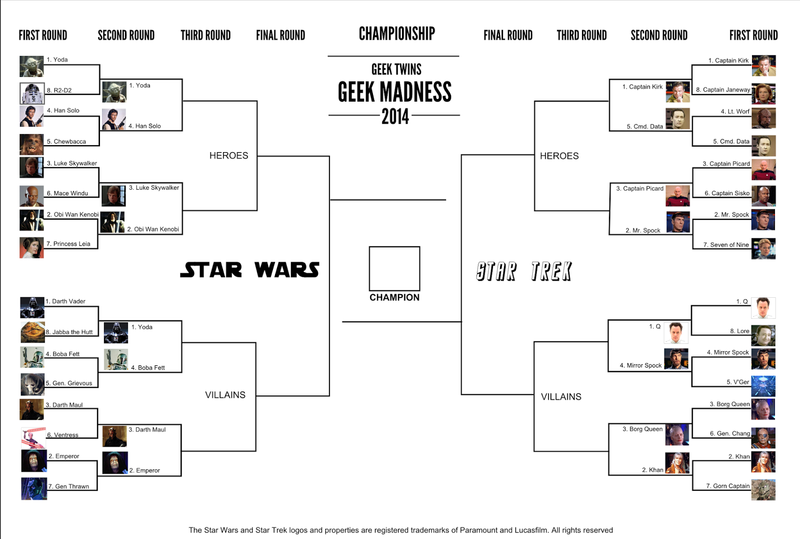 Vote on Geek Madness now! Welcome to the second annual March Geek Madness Tournament! It's time for the first round! Remember to read this Geek Madness post for all the details. The brackets are locked and the voting begins now! Here's the bracket as it stands now (updated 3/24/2014). This post will be updated with the results on Thursday (3/20/2014). Who are you voting for? Why do you think they'll win? Voted! And hopefully I remembered my picks. It'll probably do better than my NCAA brackets. Probably better than mine too Pat. There could be an upset Tony! That's the fun of March Madness. Why do you think Jabba could win? I hope so too Alex! Just go for your gut and remember your last pick. I did vote for Vader, but Jabba's argument would be that on Tatooine he's the Emperor, while Vader is basically the Boba Fett of the Empire. 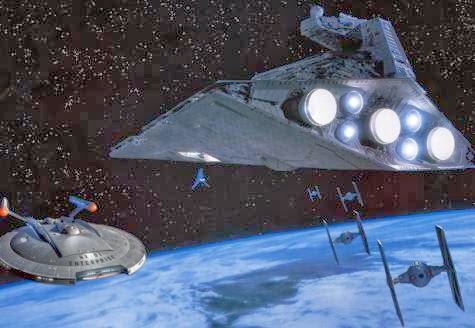 Way to go with the original.....khaaannnn! Hmm. Good point Tony. Nigel suggested he could drop Vader in the Rancor Pit.